Brothers coach Rod Seib spent a lot of time talking about momentum during preseason at Crosby Road and it seems as though the message got through. On the back of a strong summer, a new look Brothers outfit under Seib are clearly a different team to the one that struggled in 2018. They’re looking to take that momentum into Saturday’s top of the table clash against Wests. “As a new coach at the club, I didn’t see much point in spending a lot of time looking back at last year. Obviously we’ve addressed some issues but we spent most of the summer looking forward and I think that’s had a pretty positive effect so far,” Seib told Rugby News. If Seib was searching for momentum, Brothers couldn’t have started the year any better, scoring a try inside the opening minute of their round one win over Bond. While he admitted his side was far from perfect for the remainder of that match, Brothers held on and took momentum into last week’s clash against an in form Souths outfit. “The win against Bond was a bit of an ugly one but you can expect that in round one. It was really pleasing to see the guys hold on and find a way to win without playing their best footy,” Seib said. While Seib was hesitant to single out individuals, he said he’s been impressed with his side’s early season form but he knows they’ll need to continue to improve, starting this weekend against the competitions only other undefeated side. 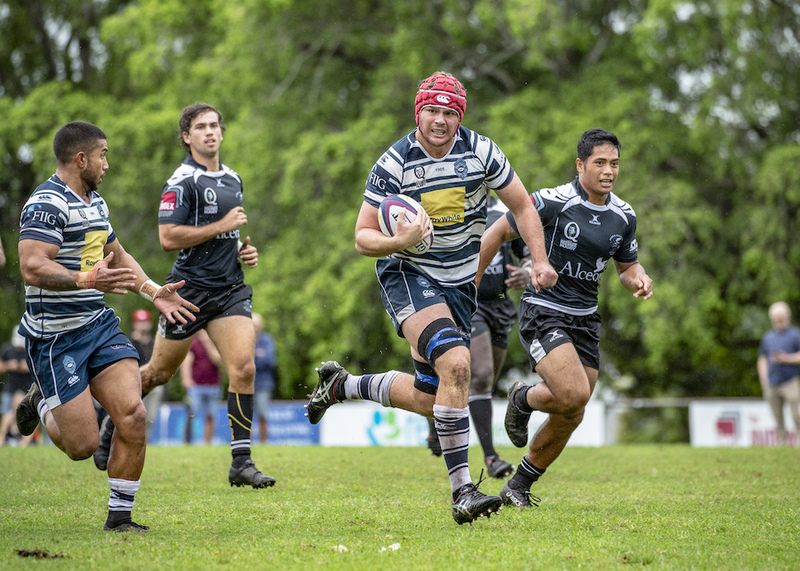 Seib coached young Wests playmaker Carter Gordon in the QLD Schools program last year and said he was impressed with the 18-year olds Premier Rugby debut last week. While there’s been no talk of finals yet at Crosby Road, Seib knows how crucial a win this weekend could be for his side. “It’s going to be a tight competition. After two rounds, only two teams are yet to lose so that shows that it’s an even competition. Brothers host Wests at home at 3:20pm on Saturday.